Companies like to boast about their biggest profits ever. 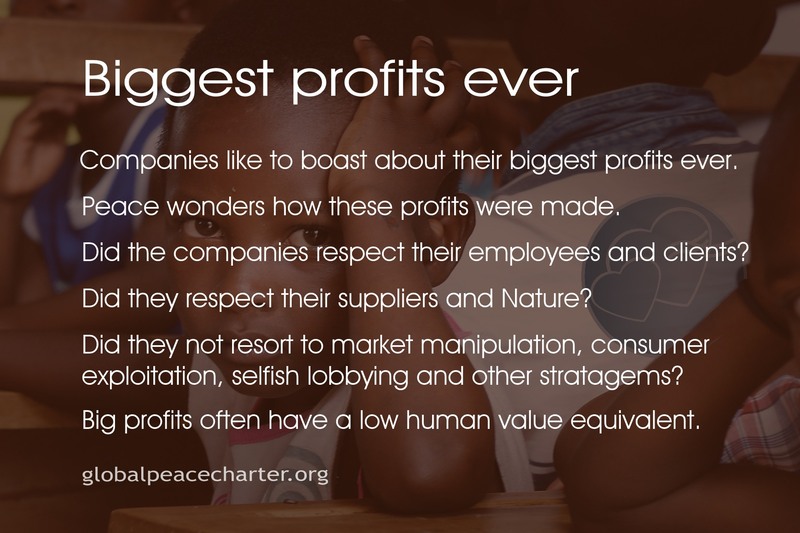 Peace wonders how these profits were made. Did the companies respect their employees and clients? Did they respect their suppliers and Nature? Did they not resort to market manipulation, consumer exploitation, selfish lobbying and other stratagems? Big profits often have a low human value equivalent.